a strong and earthy pu-erh tea, or a refreshingly zesty lemon tisane, youre bound to experience something special. Sip on a cup to soothe a sore throat or relieve the stresses of the day. Choose tea as a healthy staple in your diet or as a perfectly cozy reading stimulant. 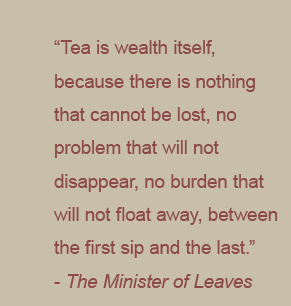 Venture to taste the greatest teas and enjoy every drop solely for pleasure. 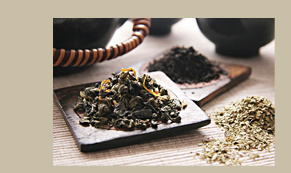 Theres a wide spectrum of tea types, qualities and uses. On one end, mere imitations of tea with aspartame are manufactured in cans, and standard black teas are hastily packed in bags; on the other, vintage editions of loose leaves are stored in tins, and expert artisans craft tea into delicate blooms. The trick as a consumer is distinguishing and appreciating the differences and knowing whats beneficial for your health. Many companies market tea as a wondrous diet or health drink. While the healthful aspect of tea is undeniable, its a mistake to idolize the drink as a magical solution to health problems. Like many mothers say, Everything in moderation. If youre interested in tasting all the subtleties your tea has to offer, avoid tea bags. Theres a clear difference between a packed tea bag and loose leaf tea. 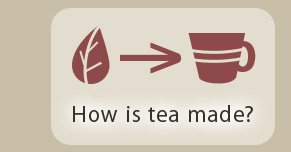 When manufacturers begin to process their tea leaves, they start with a separation process. Dried brittle leaves are poured onto a sifting table and shaken; larger whole leaves remain on the top while the dust and fragmented leaves (called fannings) fall into grates underneath. The problem with fannings has nothing to do with the taste or quality. Rather, it lies in the size; a tea bag is needed to hold the small pieces together. Essential oils and tannins create flavor in tea, and a full circulation of water is needed for them to be released from the leaves. Tea bags are made with tiny holes (in order to contain the fannings), and consequently, prevent water from circulating around the tea fully. Mesh tea balls and filters with wider holes allow water to radiate through the leaves and unleash a pure and unaltered body of flavor. Stainless steel and gold reusable filters are a great choice for serious tea drinkers and cut down on waste. Learn other ways to achieve a perfect cop of tea! © Pelland Advertising. All rights reserved.